The need to have our own credit co-op society to meet urgent needs of loans for domestic purposes, was always felt by members of the samaj. 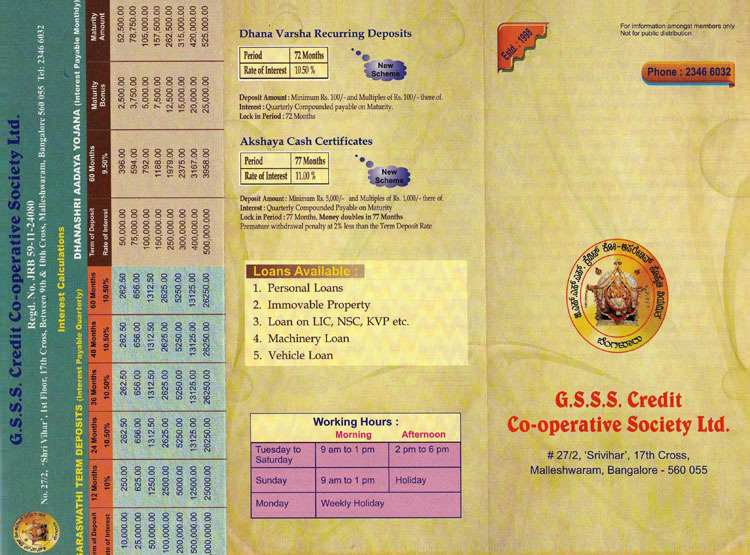 In this background, due to the initiative and able leadership of our vice president at that time, Sri C.Mohan Kamath, an independent credit co-op society under the name of the G S S S Credit Co-Op Society Ltd, was formed and registered on 24-01-1998. Sri C.Mohan Kamath served as Founder President of the Society from 1998 To 2007. To Promote thrift, and savings, and to develop self help spirit. 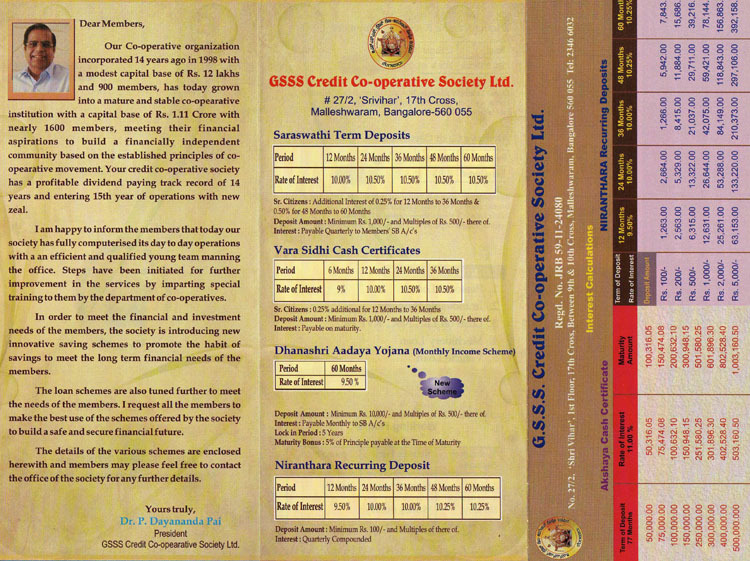 To collect deposits from the members by offering them attractive rate of interest. 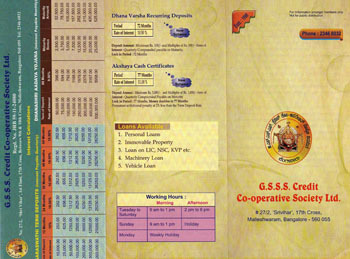 The Society started with a modest capital base of Rs.12,00,000/- and 900 members, has today grown into a mature and stable co-operative institution with the capital base of Rs,1.11 Crore with 1600 members, meeting their financial aspirations to build a financially independent community based on the established principles of co-operative movement. The Society has a profitable dividend paying record of 14 years. The society is fortunate to have the leading industrialist and philanthropist Dr.P. Dayananda Pai as its President. The following is the board of the directors. 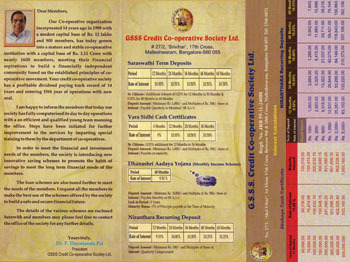 The new board is aiming at upgrading the credit co-op society to a co-operative bank.